The ratio of working-age Canadians to seniors was narrowing, and the inevitable outcome would be a shrunken tax base and acute labour shortages. Over the next decade, a million jobs risk going unfilled. And yet, only around one in 10 Canadians agrees that Canada currently admits too few immigrants. The annual (and sometimes multi-year) public consultations held by the Federal Ministry of Citizenship and Immigration on levels of newcomers do not seem to have yielded much success in changing this attitude. In a March 2015 survey commissioned by Citizenship and Immigration Canada (now Immigration Refugees and Citizenship Canada), 52 per cent of Canadians agreed that the annual number of immigrant coming to the country is just about right. Just over one in 10 Canadians believes the country is receiving too few immigrants. 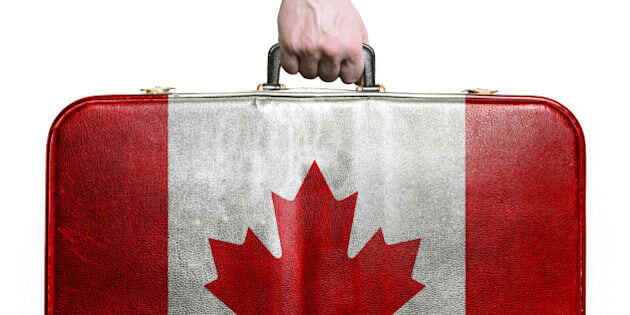 About one in four Canadians feels that there are too many immigrants coming to the country. Since there is little awareness about the actual numbers of immigrants, it's hard to know how many immigrants are too many. According to the same CIC survey, some 47 per cent believe that the country takes in less than 150,000 immigrants annually. Only one in five think that the country takes in over 150,000. Some one in three Canadians simply don't know. Of course, not knowing the actual number does not prevent people from issuing an opinion as to whether or not there are too many or too few. More often the opinion expressed is a reflection of how Canadians feel about the presence of immigrants. It would however be incorrect to assume that the number of immigrants settling in Canada has increased each year. With only a few exceptions, for more than 20 years there has been little change in the annual number of new immigrants. Yearly immigration levels averaged 220,000 in the 1990s, and just over 240,000 over the first decade of the 21st century. In regard to the desired numbers of immigrants, during the mid-1990s the annual objective of the Federal Liberals was to attain one per cent of the total population. When the Federal Liberals regained power in 1993, Canada's yearly intake was 30,000, just short of that one per cent target. In the late 1990s, the gap widened even further. For the better part of the past 15 years the annual proportion of immigration relative to the total national population has been 0.7 per cent. To attain that one per cent figure today, the government would have to admit about 350,000 people in the year. In 2014, Canada was more than 90,000 short of its target. "The inevitable outcome would be a shrunken tax base and acute labour shortages. Over the next decade, a million jobs risk going unfilled." To its credit, the Government of Canada committed to admitting as many as 25,000 Syrian refugees by the end of 2015. But the year-end estimate for the number of Syrians actually coming in is fewer than 7,000. For the first three quarters of 2015 (January to September 30), Canada welcomed about 10,000 fewer immigrants than it did over the same nine-month period in the previous year. Those Canadians concerned about immigrant numbers can be assured that overall immigration for the year 2015 is unlikely to have exceeded the total number of newcomers for 2014. Canada has been described as a nation of immigrants, with its one in five foreign-born representing the second highest percentage in the world (only Australia has a higher share of immigrants). International migration and the numbers of births over deaths (natural increase) are the country's only two sources of population growth (changes to provincial and territorial population are also affected by migration between the provinces). Most demographers acknowledge that immigration will soon be the only avenue for increasing population. A May 2012 Globe and Mail series of essays recommended that Canada significantly increase the numbers of immigrants it received. One of the stories pointed out that the ratio of working-age Canadians to seniors was narrowing, and the inevitable outcome would be a shrunken tax base and acute labour shortages. Over the next decade, a million jobs risk going unfilled. And yet, only around one in 10 Canadians agrees that Canada currently admits too few immigrants. The annual (and sometimes multi-year) public consultations held by the Federal Ministry of Citizenship and Immigration on levels of newcomers do not seem to have yielded much success in changing this attitude. It's high time for a consultation that takes a longer view of the country's population needs. Jack Jedwab is Chair of the National Metropolis Conference on Immigration and Integration. The 18th edition of the conference, entitled "Getting Results: Migration, Opportunities and Good Governance," will be held at the Westin Harbor Front in Toronto between March 3 and March 5, 2016. Countries With The Most Immigrants: 24/7 Wall St.